Thanksgiving was yesterday. In light of that fact, I decided to put together a list of things that I am thankful for. This list is obviously not all inclusive. Instead, my focus is on things that I am thankful for that pertain to our life with food allergies. 1.) Life Saving Allergy Meds: Having to use an Epi-pen on someone you love is a terrifying experience, and it is an experience that I am unfortunately all too familiar with. That being said, I am thankful every minute of every day, for my son’s Epi-pens, as they have saved his life more than once. 2.) Emergency Medical Services: I am grateful for all of the emergency medical personnel and services that have been there for us when we have needed them most. This includes (but is not limited to), our local hospitals and emergency rooms, the individuals that staff these facilities, ambulatory services, EMTs, and dispatchers. 3.) Our local children’s hospital, and my son’s medical care team: Living in a rural part of the country, we have to drive about 60 miles to reach the nearest children’s hospital, but it is always worth the long commute to have access to such stellar care. My son’s medical care team consists of his primary care dr, allergist, GI specialist, and nutritionist/dietician, and I am grateful for each and every one of them. I am thankful that I live within driving distance of a hospital that is one of the best rated pediatric hospitals in the country. 4.) Family that understands and accommodates our allergies: I know that this is one of those things that not every allergy family has been lucky enough to have. I have a number of family members that not only understand our allergies, but have also gone out of their way to accommodate them. I want to give a special shout out to my parents, who have become pros at reading labels, creating allergy friendly recipes, and preventing cross contamination, right alongside us. They have done such an amazing job in supporting us, that their home is the only place (other than our own home) that we are able to relax and not worry constantly about exposure to allergens. Take yesterday for example—my parents hosted us for Thanksgiving, and prepared a delicious spread that was free from our allergens. I’m talking turkey, macaroni and cheese, gravy, green beans, sweet potato casserole, smoked briscuit, cake, and a slew of sides—all dairy, wheat/gluten, egg, peanut, and soy free. That’s no easy task! It doesn’t end there either. We have had a number of relatives (both extended and immediate family) that have gone out of their way to support us in the management of our allergies. Sometimes it’s something as simple as providing safe candy at a Halloween party. Other times, it’s making sure that all of the food at an event is free of my son’s anaphylactic allergens. No matter what it may be, I truly appreciate from the bottom of my heart every single person that has gone out of their way to make my child (and myself) feel safe and included. 5.) 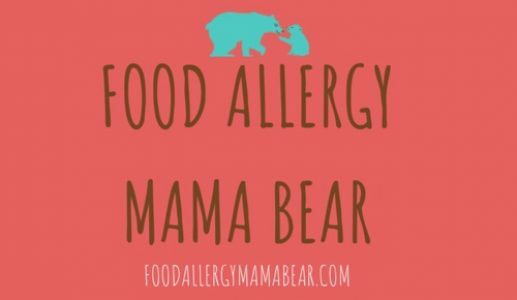 Allergy Friendly foods, products, and brands: We got our first taste of the food allergy life when I was nursing my oldest son and he started reacting to his allergens through my breastmilk. Consequently, I had to eliminate his allergens from my diet in order to alleviate his allergic symptoms. That was seven years ago. Back then, the selection of allergy friendly foods in our rural area was more than bleak, and we weren’t avoiding close to as many allergens as we are now. Luckily, we have so many more options now. Our local grocery stores now carry items such as gluten free baking mixes and dairy free cheeses. Even the dollar store in my very small hometown now stocks its shelves with non-dairy milk options (something that would have been unheard even just a few years ago). This increased availability of free from foods has made all the difference for us. When you factor in the increased prevalence of online shipping and free from foods available on sites such as Amazon.com, it is amazing how much more is available nowadays for food allergy families. Every time we find a new safe food, it is so exciting (if you’re reading this, I’m sure you know the feeling! ), so I am very appreciative of all the companies that are now offering food options that are mindful of the increasing number of food allergic individuals. Food allergies are hard (I think we can all agree on that), but today I am choosing to come at life with a grateful heart. It’s so easy to focus on all the things that aren’t quite the way we wish they were, but if we can learn to shift our focus to our blessings, whatever they may be, we might just find a little more peace in our often hectic lives. Today I ask of you—what are you grateful of? There are probably things that are stressing you out today (maybe it’s allergy related, maybe not). Is there anything amidst the hardships in your life that you are thankful for? Is there perhaps something you appreciate even more, due to your current or past tribulations? It is a Godsend to have family that is so understanding and accommodating! While I don’t have kids, I certainly relate to this is list as someone with food allergies. Having a supportive family is HUGE! I can’t get over how many more options we have now than just a few years ago…and how much better they taste haha. Such an awesome post. Many take for granted the things that helps keep us alive. So many things to be grateful for, small and big. Thanks for the info! I’ve never been faced with any food allergy myself, but when organizing events, it’s so important to consider any restrictions. The timing of the post is perfect with the holiday season upon us. An important point to consider when entertaining guests – to cater for their food preferences. That’s great that there are so many choices now for people with allergies. I’m sure it makes life much easier for you and your family. feeling gratitude is so important, thanks for reminding me to check in with myself today and remember what I am grateful for!